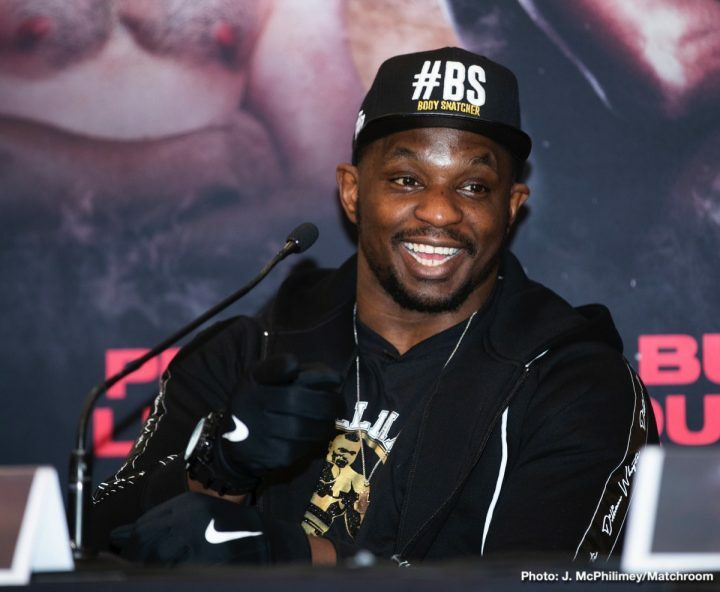 By Tim Royner: Promoter Frank Warren is interested in talking with highly ranked heavyweight contender Dillian Whyte about signing him to his stable. Whyte (25-1, 18 KOs) is now reportedly a promotional free agent, and he’s testing the waters. If Warren can sign Whyte, it would be a major addition to his stable. Whyte, 30, is looking to get a big fight following his 11th round knockout win over Dereck Chisora last month on December 22 in London, UK. Whyte was hoping to get a title shot against unified belt holder Anthony Joshua, but after being given an offer that he felt was well below what he was looking to get, he’s now looking for other options. One of them is Wladimir Klitschko, and another Dominic Breazele. The question is whether Whyte would be open to fighting on BT Sport rather than on Sky Box Office. Whyte has been making good money on PPV on Sky. If he make more money with a different promoter, then he would likely be more than willing to move on. With everything that Whyte brings to the table, it’s unclear why Joshua’s promoter Eddie Hearn of Matchroom Boxing didn’t give him an offer that was in his ballpark. Whyte didn’t say what the offer was from Hearn, but it was too low for his liking. With Whyte being a PPV star, he likely wants somewhere close to a 60-40 split for a fight against Joshua. Some boxing fans would see that as a fair split. If Warren can sign Whyte, he could likely have him fighting for a world title against Deontay Wilder, and put him in him in some interesting fights. It would be a great fit for Whyte. The ‘Body Snatcher’ Whyte is in his prime of his career. It’s a pity to see him taking a backseat to Joshua in the Matchroom stable.